While millions of people love their morning coffee each day, it is a little-known fact that women play a major role in the production of coffee around the world. Over 500 million people are dependent on coffee for their livelihoods, 25 million of whom are coffee farmers. 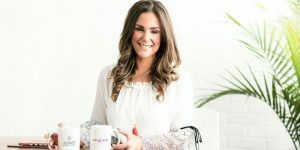 Here’s the success story of how woman entrepreneur, Alyza Bohbot, rebranded and reinvigorated her parents’ coffee business by empowering women. Alyza’s parents ran Alakef Coffee Roasters, one among the handful of specialty coffee roasters in Duluth, MN. In 2014, when her parents contemplated selling the business, she decided to take control of the family business. According to the International Trade Center, it is women that do 70 percent of the work in getting coffee to market, but have limited opportunity regarding financial control or decision making. Alyza had a light-bulb moment when she attended a trade conference breakfast and learned about this. City Girl Coffee gets its beans exclusively from farms and cooperatives that are owned or managed by women. The company also donates 5 percent of all profit to organizations that support women in the industry, including the International Women’s Coffee Alliance, or I.W.C.A., and Café Femenino. It is the perspective of Alyza that an “unapologetically feminine” coffee brand would find consumers. City Girl Coffee’s sales are up 300 per cent year over year. The company aims to break into other Midwest markets, including Chicago, St. Louis and Des Moines, and then to select cities on the East Coast. Take a look at how this woman entrepreneur is resolving gender inequity in the coffee industry. We are sure you would benefit from the wisdom derived from her daily grind into the coffee industry. Please share your feedback below and let us know your thoughts on empowering women to follow their dreams.